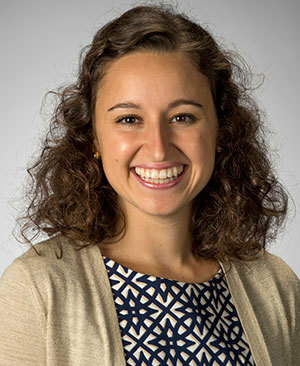 Emmie Mediate, a 2015 graduate of Notre Dame’s College of Arts and Letters, has been selected to the American Rhodes Scholar Class of 2016. A native of Colorado Springs, Colorado, Mediate was one of 32 Rhodes Scholars selected from a pool of 869 candidates who had been nominated by their colleges and universities. She is Notre Dame’s 17th Rhodes Scholar and the University’s second in two years. Mediate majored in Africana studies and Arts and Letters pre-health, with a minor in international development studies. During her time at Notre Dame, she spent three summers in Uganda researching global health issues. “Emmie Mediate is an exemplar of scholarly engagement,” said Jeffrey Thibert, interim director and assistant director of national fellowships at the Center for Undergraduate Scholarly Engagement. “She pursued research, internships, leadership activities, and service that built on her coursework to demonstrate a sustained commitment toward improving the effectiveness of foreign aid efforts, especially in East Africa. 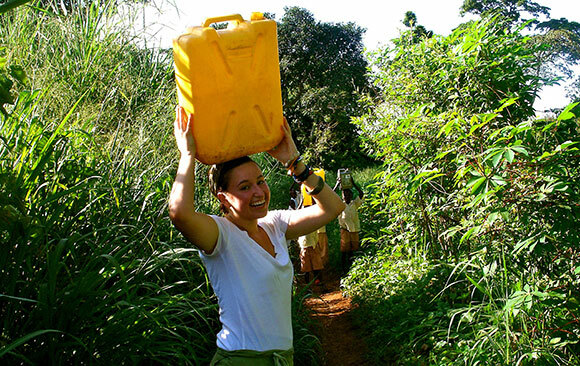 Mediate carrying a watercan to a river during her first trip to Uganda. Mediate will commence her studies at the University of Oxford in October 2016, pursuing a master’s degree in evidence-based social intervention and policy evaluation. Following her graduate studies, Mediate hopes to pursue a career as a foreign service officer with the U.S. State Department. Mediate (back center) and a group of children from a parish she stayed at in Uganda. After interning as a junior desk officer at the U.S. State Department in summer 2015, Mediate began a yearlong International Development Fellowship through Notre Dame’s Kellogg Institute for International Studies. In that role, she is working with the Association of Volunteers in International Service in Kampala, the Ugandan capital, to evaluate a USAID-funded program that aims to improve the well-being of children in HIV-affected families. Mediate developed an interest in global health early in her Notre Dame career. 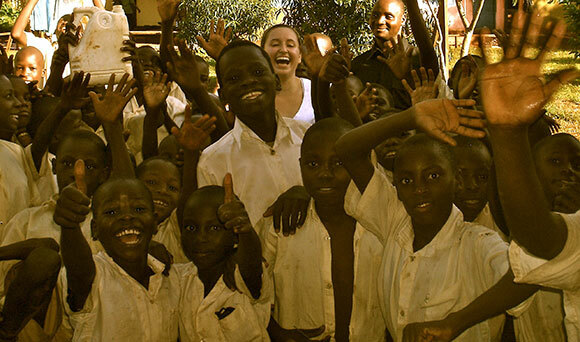 The summer after her first year, she received a grant from the Undergraduate Research Opportunity Program to travel to Uganda to research international aid. With funding from the Kellogg Institute, she returned the following summer to intern with the Palliative Care Association of Uganda, assessing health care facilities across the nation. In the fall of her junior year, Mediate studied abroad in London, where she served as a policy and advocacy intern with Save the Children UK—a nongovernmental organization dedicated to improving children’s lives in more than 120 countries worldwide. Mediate and a nurse she worked with during an internship at the Palliative Care Association of Uganda. 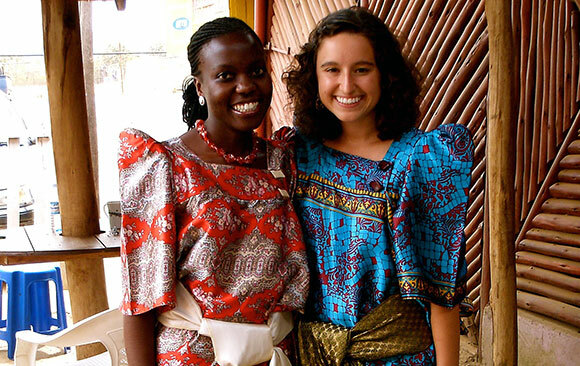 In summer 2014, Mediate returned to Uganda to conduct research for her senior thesis. Through archival research and interviews with patients, doctors, and Ministry of Health officials, Mediate analyzed the funding environment around various interventions for HIV/AIDS in Uganda. Her project, “Disabling Donor Demands: The Coercion of the International HIV/AIDS Agenda,” argued that international funding has constrained local efforts in sub-Saharan Africa. On campus, Mediate worked as a research assistant to Christian Smith, the William R. Kenan Jr. Professor of Sociology; Marya Lieberman, associate professor of chemistry and biochemistry; and Terence McDonnell, assistant professor of sociology. As a Kellogg International Scholar, she spent three years working closely with McDonnell to analyze international HIV/AIDS media campaigns. She also co-directed the Dean’s Fellows in the College of Arts and Letters, designed and co-led a course titled U.S. Healthcare: Policy and Poverty through the Center for Social Concerns, and volunteered with Imani Unidad, a local AIDS ministry group. Mediate worked closely through the Rhodes Scholar process with Notre Dame’s Center for Undergraduate Scholarly Engagement, which assists students and alumni with fellowship applications. Individuals interested in applying for the Rhodes, Marshall, and other awards can visit cuse.nd.edu/fellowships. Originally published by Carrie Gates and Todd Boruff at al.nd.edu on November 22, 2015.